Dr. David Evans is a radiologist based in Fairbanks, Alaska. He is specialized in radiology and his sub-specialties are general radiology and neuroradiology. Dr. Evans graduated from the University of Oklahoma College of Medicine. He continued with an internship at the University of Oklahoma Health Sciences Center followed by a residency in radiology at the Integris Baptist Medical Center and a fellowship in neuroradiology at the University of Vermont - Fletcher Allen Health Care. 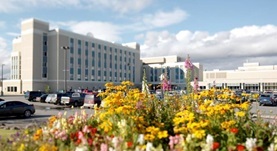 At the moment, he is affiliated with the Fairbanks Memorial Hospital and Denali Center.